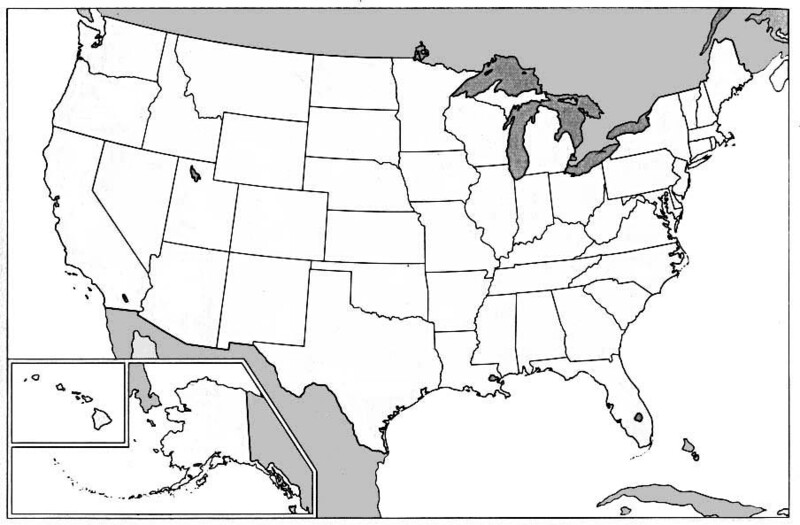 As I mentioned yesterday, in my Our Plan 2009-2010: Overview post, we are planning on making State-by-State Scrapbooks as part of our Geography course this year. This idea came from Beth after I posted about my frustration with our local library. Beth had taken the time to gather various free worksheets online to use for a geography scrapbook with her children, adding each State in the order in which it joined the union, and kindly offered to email me copies of her documents. The worksheets reminded me of the Trip Journals I had made for my children last year, in fact some of the worksheets/coloring pages were the same, so I knew my children would LOVE making one! 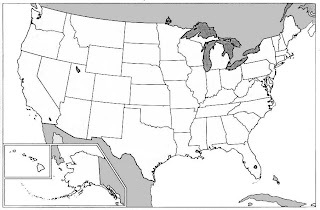 I have also decided to include a coloring page for the quarter of each state, since this is suggested in the Along the American History Trail and since Rascal has been collecting the various State Quarters. I printed out the worksheets ("4 per Page" from Word -- except for the State Facts which are printed 2 to a page) for Delaware and Pennsylvania, the first two states we will be studying. 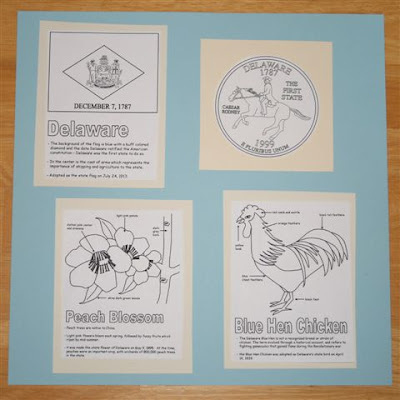 The boys and I looked to see if there are any special colors for Delaware, and since the official state colors are Colonial Blue and Buff we choose card stock in those colors. Well, that is all I have time to share right now. We are headed out again today, this time to Summer with the Saints and a couple appointments. I hope you all have a great day! That looks like a really great and fun project! I'm sure the stickers will be a big hit too. Oh, I LOVE IT!!! What a great idea! Thanks so much to Beth for sharing, and to you for posting the links here! Your homeschool looks so fun! Thanks for some great ideas! I've had the "plans" to do a state study with my kiddos for a couple years. The thing that always seems to stump me is how much time to devote to each state, how to work it into our school week...once a week or more. I guess I've been worrying about the big picture instead of just getting started. Please share what you're planning to do as far as scheduling. I LOVE, LOVE, LOVE your ideas. I too am planning to use Elizabeth Foss' history plans to create our own similar history and geography study for next year. She gave me a great framework to work with, and funnily I have many of the same printouts of state flowers and animals that you have planned for your state studies. We are going to lapbook them I think though vs. scrapbook. I hope you post more as you go along this year. Also, I emailed Sleeping Bear Press a few months ago about paperback versions of the state books, and they said it may happen for more of the books as time goes by. Maybe if they get enough requests, they can make them more affordable. Jessica, I am taking all of this in. I think our MODG plans for next year include studying states but just with flashcards. This is so much more interesting. I will have to consult my in-house computer expert on how to print all of this out the way you described as soon as he returns from fishing! Love peeking at your plans! Thanks for sharing! Thank You so much for sharing. I love reading your blog. Some day I will tell you what an inspiration you have been to me. I can't wait to do this with my two older girls. Thank you everyone for all the greet comments! April ~ I am not planning on covering all 50 states in one year. I just don't think we will have time. To begin, my goal is to cover the first 13 state during the first half of the year -- following Elizabeth's eight different stops of Along the American History Trail giving 2 weeks for each stop. So basically I think we will be doing just ONE state per week. Crafty Mom ~ THAT IS WONDERFUL!!! I will have to email them too... It would be great if they put out a paperback version! Cecilia ~ What a fun idea!! I'll email you! Thank you so much for this. I have a child with learning disabilities who *cannot! * seem to learn his capitals and US geography very well. I have been wanting to do something like this to make it more meaningful for him. This is great! We are still working our way through the States... My boys like to spend a lot of time working on illustrations for their pages, and since this has just been supplemental, they still have quite a few states to finish. I'm not worried about it taking multiple years to complete. The girls began this year - working on a simplified version, along with baking recipes for each state - and my hope is that they will complete the 50 states over 2 school years. Did you become a member of Enchanted Learning? I am no computer expert and have been trying to copy images as you have shown but cannot get the flag, flower or bird to copy without being a member...do you have these somewhere for me to copy as you have done with your Little Flowers pages? You are amazing and I spend most days in awe at what you get done. Thanks! No, I didn't. The Flag, Flower and Bird are actually not from Enchanted Learning.